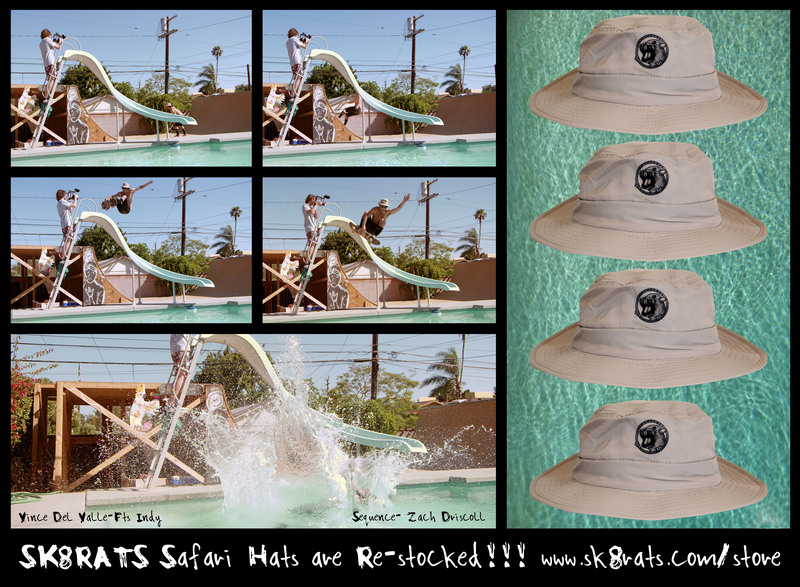 SK8RATS Safari Hats are Re-stocked!!! Vince Del Valle holding it down for the Rats while repping the SK8RATS Tan Safari Hats!!! Gotta snag one for the Summer heat!! !